It all started from my simple need to install a test application on an iPod. I usually work with Android, but from time to time use my daughter's iPod Touch for testing purposes. The test application I needed to use required iOS 6, while our iPod had 5.1. Fine - we've been planning to upgrade the iOS on this device for a while. But it's a 8GB version, with a bunch of apps installed and some music. The upgrade required 2.7GB of space available, and this small iPod had less than 1GB free. OK, let's clean up some space by copying that stuff to a PC. Wait! The old laptop, where we connected this iPod previously, already died, and the new one doesn't even have iTunes installed. OK, let's install iTunes - it's "just" 100MB download... Some time later I could finally see the iPod in iTunes. But how could I copy all the music to this computer? Hmm... No obvious way. Maybe Sync? No! iTunes says if I want to sync to this machine it will delete all the music from iPod first. Why?!? Why cannot it just import all the music from my iPod to the library on my PC?!? Well, at least I can do a backup. But what if something will go wrong? I want my daughter's MP3's to be safe, and not in a form of a pile of unknown files with unreadable names (and probably modified from their normal format) in the backup folder. Well, Google is our friend. Hmm... Sounds like there is no standard way, but there are some 3rd-party applications, which could help. I used one of them before, found it again - it's named SharePod. It used to be free, but the new version now seems to cost $20. Apparently the old version 3.99 is still freeware, and it still works with our iPod. OK, the music is finally copied to the PC. Now, how do I add it to iTunes in case I want to install it back to iPod? I looked and clicked everywhere, but the only thing that I found was to import just one file. I remember for sure I could import a whole folder to the library - I did this a while ago on the old laptop. Well, back to Google... Aha! There should be a menu item "Add folder to library". But where is that menu? The one opened with a tiny button on the left did not have this command. Google again... Aha!! You have to press Ctrl+B to show a normal menu bar. And the "Add folder" command is there! But why?!? Why is it only in that hidden menu, and not in the regular menu, which is at least possible to find?!? Now, when the device backup was running, iTunes requested to authorize this computer to work with this iPod. OK, if it's required, I did that. But I didn't like that it said there are already 3 authorized computers out of allowed 5. Yes, there was that old laptop, and probably even older PC, which I don't even remember. How could I deauthorize those old machines? Google... Aha, there is an article on support.apple.com. What?!? It says "Remember to deauthorize your computer before you sell it, give it away, or get your computer serviced". You gotta be kidding! What if my computer unexpectedly died? I could not simply delete it from the list?!? Apparently not. Well, there is a way to fix this in case I used all the authorization quota. I can deauthorize all computers associated with my Apple ID. Isn't that nice? What if I had a couple of normal computers, which I want to keep authorized, and deauthorize only one old and dead machine? Forget it! Only none or all! But wait, there is one more interesting detail. You may use this deauthorization feature only once per year! That's right! I hope I won't need it soon, but again - why?!? Why don't I have any control neither on my music, nor my device, and even computer?!? Apple-users, how are you still able to survive and even enjoy your life in such a hostile environment with ridiculous limits and procedures everywhere, and absolutely unusable iTunes?!? 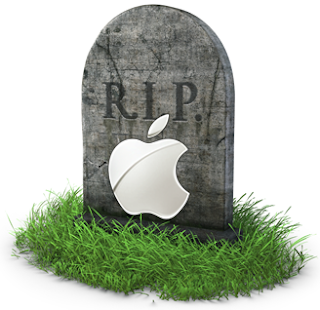 I cannot understand, why Apple is still alive! PS. I do not even start talking about the development process with Apple products. I don't want to hear the words "provisioning" and "Xcode" again! Yes, it's understandable why Apple became (for a while) #1 in the smartphones world. They are innovative for sure. Their design is nice. But at the same time, there are so many limits, and absolutely unusable things (starting from iTunes)! The actual real-life scenario I described was not related to development at all. I, like a regular user, just wanted to install some application, which required a newer version of iOS - not even the latest. And like any normal user I wanted to keep the data on my iPod safe.